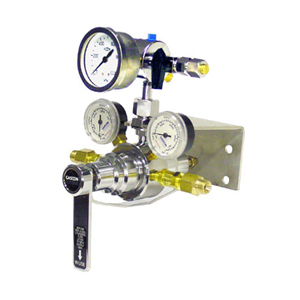 The MM120 range of medical manifolds is a compact gas supply system for installations requiring uninterrupted low to medium flows(up to 250 l/min) of medical gas at constant pressure. Available for all medical and laboratory gases the MM120 can be configured for use in any application. The MM120 is a quality Australian made device. The M500 range of manifolds is a compact gas supply system for installations requiring uninterrupted medium flows(up to 500 l/min) of gas at constant pressure. 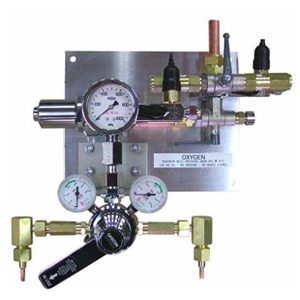 The manifold is constructed from chrome plated brass and is for use with non corrosive gases. Models are available for industrial and medical applications. Available for all medical and laboratory gases the MM500 can be configured for use in any application. The MM500 is a quality Australian made device. The MM800 range of manifolds is a compact gas supply system for installations requiring uninterrupted medium to high flows(up to 800 l/min) of gas at constant pressure. The manifold is constructed from chrome plated brass and is for use with non corrosive gases. Models are available for industrial and medical applications. 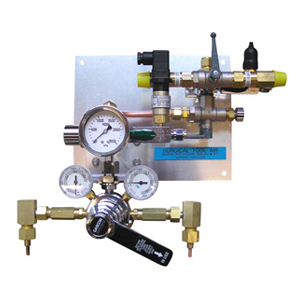 MM200TT lower flow(up to 1000 l/min) surgical tool air auto change-over manifolds for gas pipeline systems requiring uninterrupted flows at constant pressure.The MM200TT auto change-over medical gas manifold is a compact supply system for installations requiring uninterrupted low to medium flow capacities, typically 1 – 4 theatres with simultaneous flow. MM500TT higher flow(up to 1500 l/min) surgical tool air auto change-over manifolds for gas pipeline systems requiring uninterrupted flows at constant pressure.The MM500TT auto change-over medical gas manifold is a compact supply system for installations requiring uninterrupted low to medium flow capacities, typically 1 – 6 theatres simultaneously. 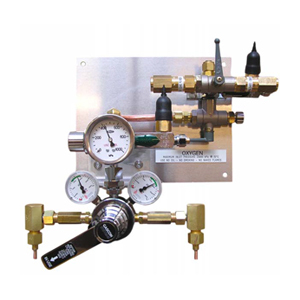 The medical standby regulator is designed to be used with auto change-over manifolds as part of a medical gas pipeline reticulation system. The regulator comes supplied with a gas specific hose assembly which connects the regulator outlet to the auxiliary supply inlet of the three way service facility valve. The regulator is used as an alternative supply source for the pipeline system when the manifold is being serviced. 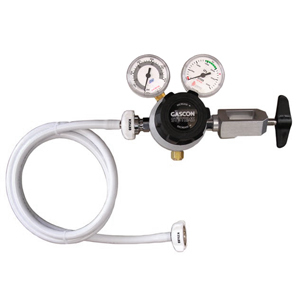 The regulator can also be used as an emergency supply in case of manifold failure. Cylinder Restraint manufactured from stainless steel. 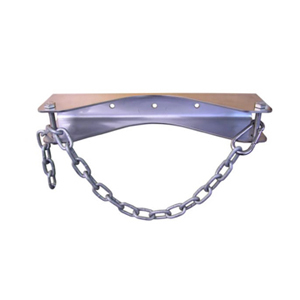 Consists of bracket with chain and is suitable for almost all cylinder sizes. Cylinder Restraint manufactured from steel and powder coated for protection from damage and corrosion. 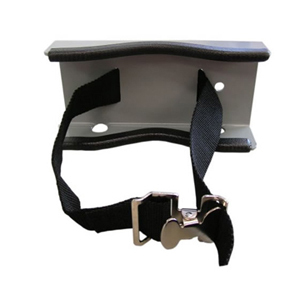 Consists of a bracket with a webbing belt restraint strop.